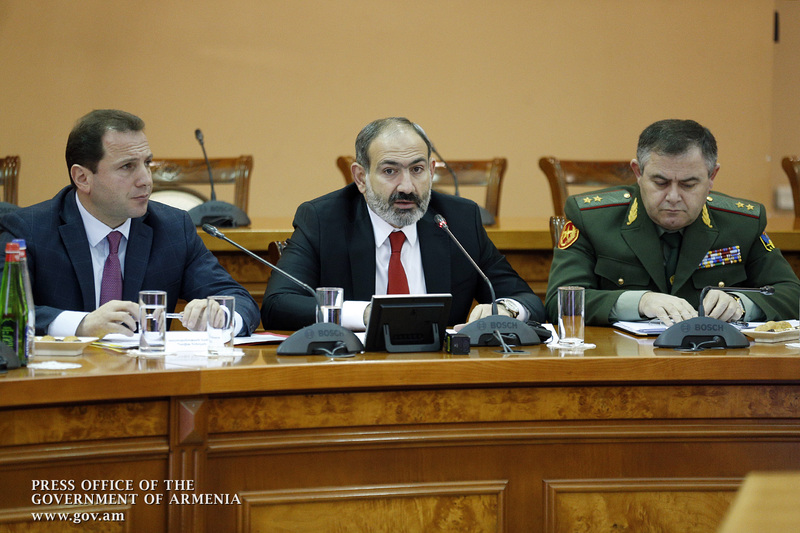 Prime Minister Nikol Pashinyan visited the Ministry of Defense where he held a consultation with the leadership of the RA Defense Ministry and senior officers of the Armed Forces. 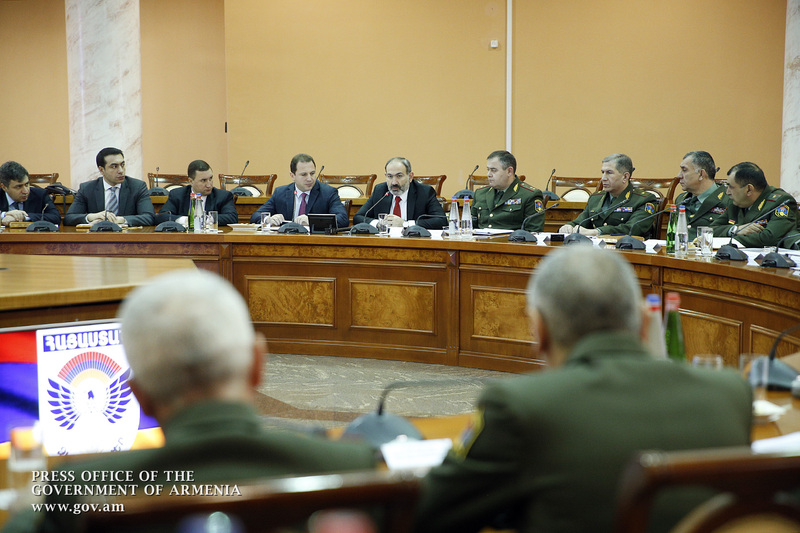 Addressing the meeting, Prime Minister Pashinyan stressed the importance of meetings held in the given format from the perspective of effective cooperation between the Government and the Armed Forces. “Our most important task is to address security challenges. 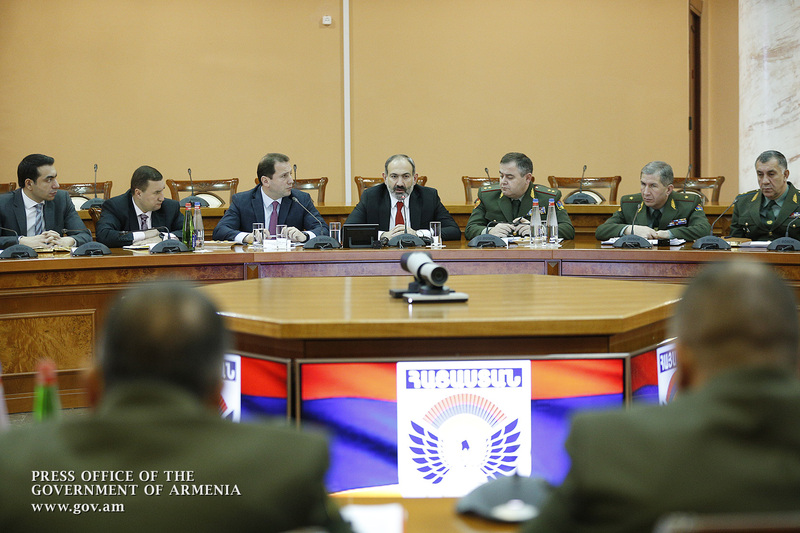 Our political emphasis is as follows: The Armed Forces of the Republic of Armenia and the Artsakh Defense Army are the number one guarantor of the security of the Republic of Armenia and Artsakh. 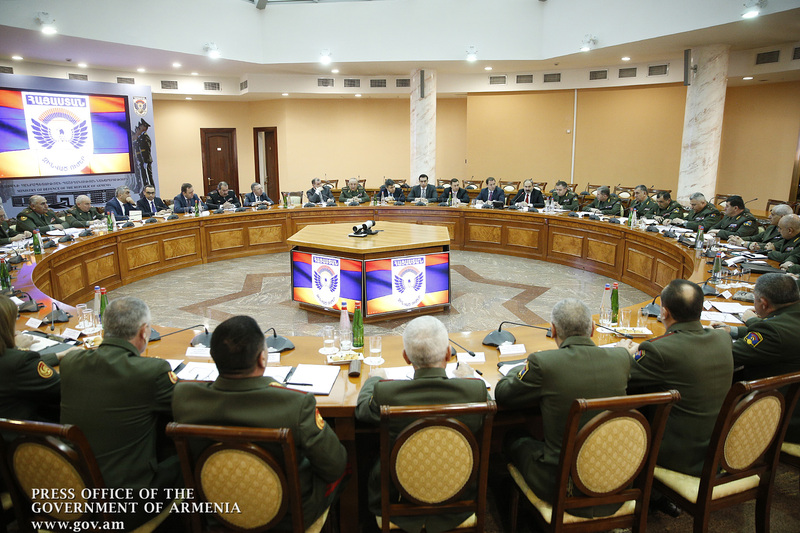 The normal development of the Armed Forces in line with modern standards and the security needs of the Republic of Armenia and Artsakh is our absolute priority. We need to endeavor continuously to that end with short-term, medium-term and long-term goals, as well as a strategy of action,” the Prime Minister said. 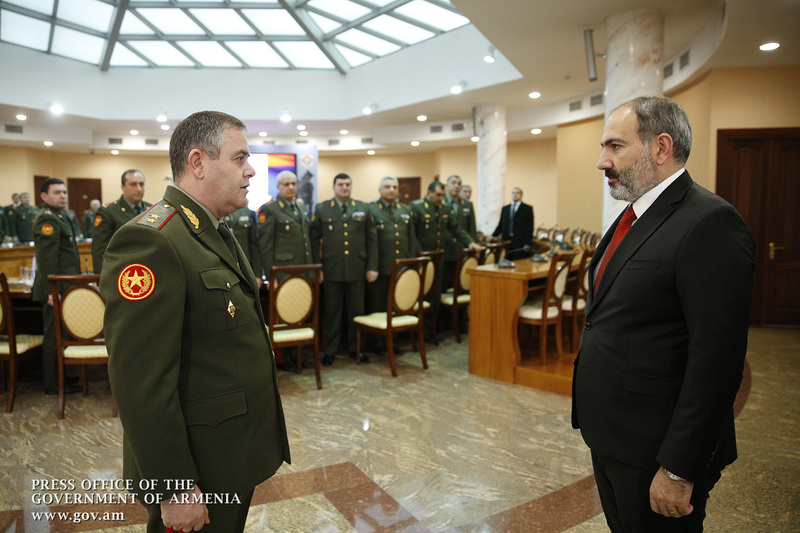 RA Minister of Defense David Tonoyan presented to the Prime Minister of the Republic of Armenia the achievements recorded in 2018, as well as the priorities for 2019. “In 2018, especially since June, we had a pretty quiet frontline, first of all owing to the efforts made by the political leadership of the Republic of Armenia and the clear tactics and actions of our armed forces. In this regard, I would like to reaffirm that our army today is in a position to enforce the political arrangements effective at this point of time, and if necessary, impose favorable conditions on the adversary,” David Tonoyan said. According to the Minister, a key achievement in 2018 was that the Armed Forces were kept away from the influence of political processes, which was best demonstrated during the parliamentary elections, as well as the changes made to the call-up procedure. 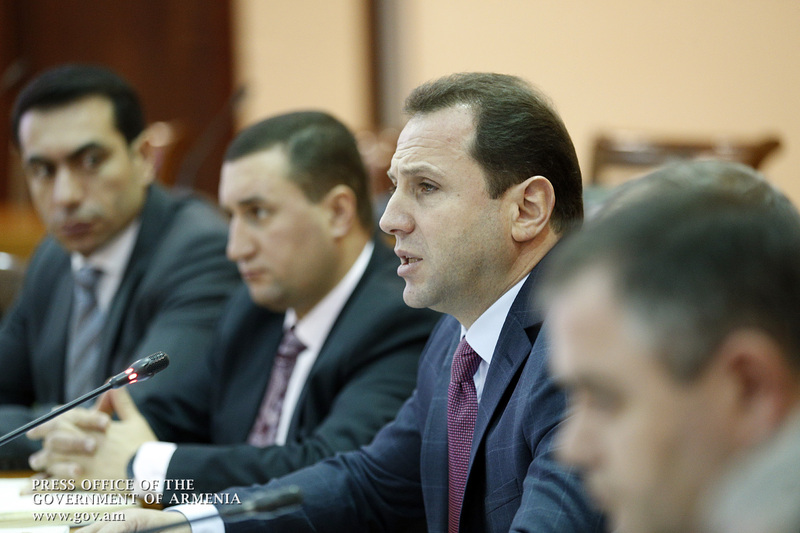 David Tonoyan advised that the ongoing effective cooperation with our allies and partners in the framework of not only existing agreements, but also in terms of new agreements has been continued. The planned structural changes in the army management system are nearing completion. “We are working on a number of legislative amendments, aimed at improving, simplifying and making the management system and the procurement process more efficient, increasing the combat readiness of the armed forces, making the army more transparent and accountable,” the Minister said. Introducing the priority tasks for 2019, the Minister of Defense stressed that improving the system of complementarities between the compulsory and contractual services is one of the most important priorities. “Another important priority is to increase the management efficiency of our material and human resources. We will implement reforms in the field of supplies and personnel management, based on smart and principled solutions in order to rule out potential biases and abuses. 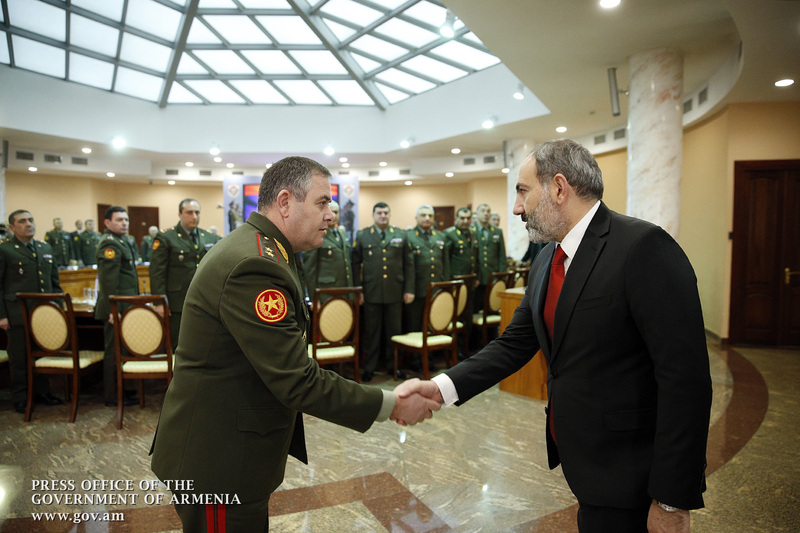 David Tonoyan assured that the Government will continue to support the military-industrial sector in 2019. One of the priorities is to take steps to boost the military industry and develop international cooperation. 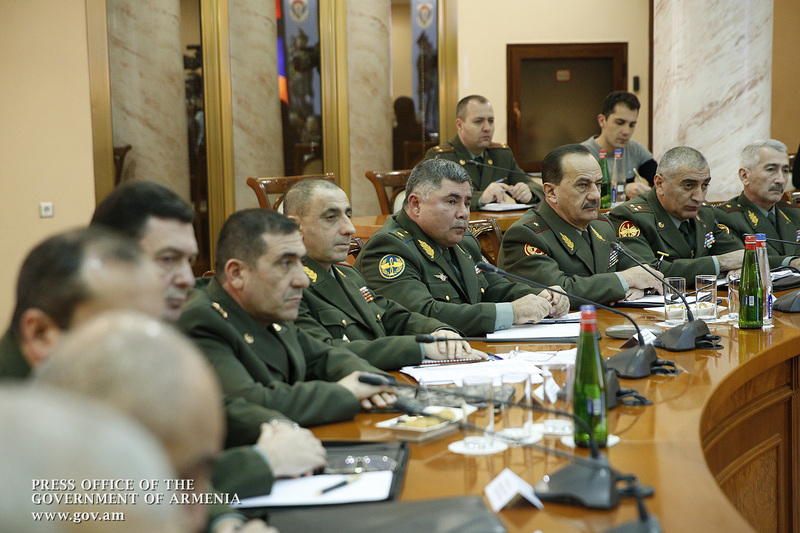 The Defense Ministry executives reported to Prime Minister Pashinyan on the activities carried out in the sphere of army building, combat readiness of the armed forces, as well as on the current regional military-political situation and the operational situation on the Armenian-Azerbaijani contact line. 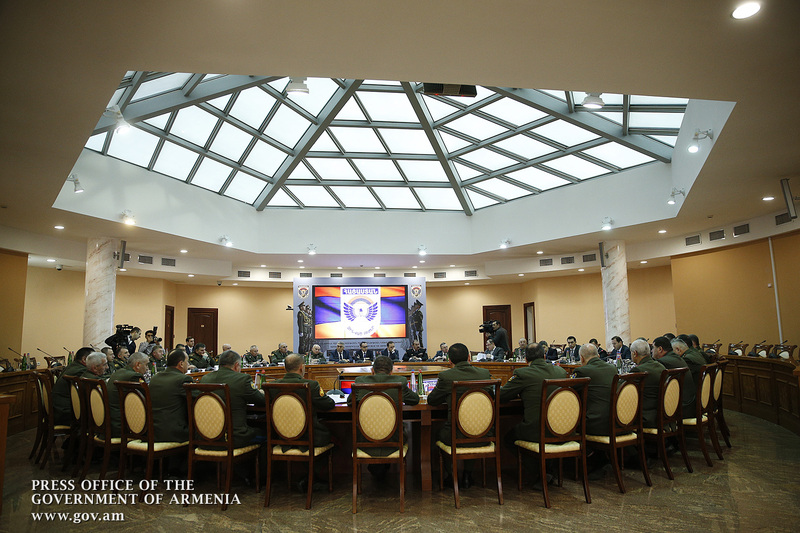 In conclusion, the Prime Minister of the Republic of Armenia issued relevant instructions.